For some people Halloween decorations consist of a few pumpkins and maybe some window clings. 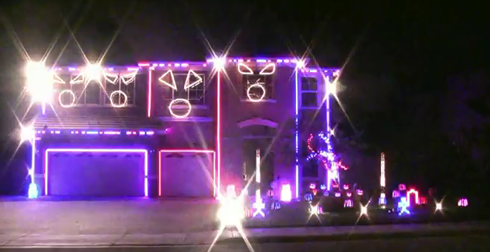 On the other hand, there are those who completely deck their houses out with seizure-inducing, but wickedly awesome synchronized light shows. This is definitely one of those people.